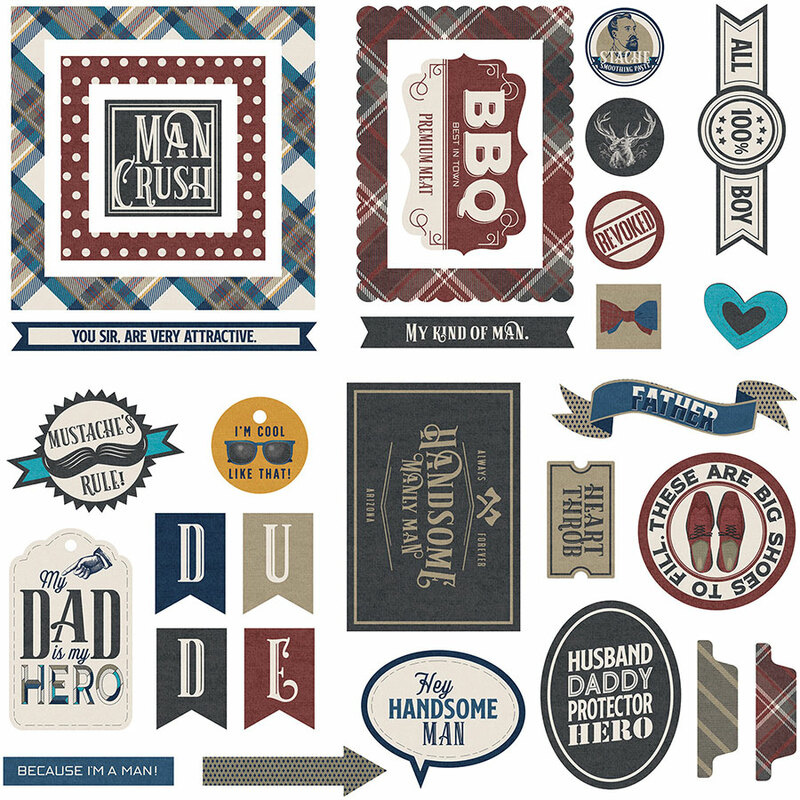 This package contains an assortment of thirty (30) Ephemera Die Cuts. Great for embellishing & accenting your projects. Part of the Man Card Collection by PhotoPlay Paper. Look for coordinating Products including PhotoPolymer Stamps, Element Stickers and Designer Papers.